Press release – Extreme climatic events, biodiversity loss… What if wetlands were part of the solution? Fully 48% of wetlands in the Mediterranean basin have disappeared since 1970, according to a recent analysis, while the average global loss is around 35%. The most productive ecosystem on the planet is also the most endangered. There is great urgency to act, and solutions exist! In view of this, nearly 1,000 delegates from 170 countries are gathering in Dubai from 21 to 29 October to attend the 13th Conference of the Contracting Parties of the Ramsar Convention on wetlands, and to decide on the best ways to protect wetlands, the most lavish ecosystem on the planet and yet the most threatened. 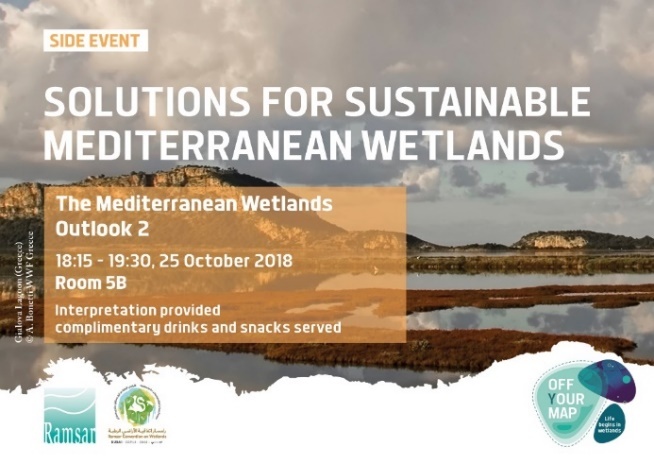 Fittingly, on this occasion will be made public the second report of the Mediterranean Wetlands Observatory on the state, challenges, perspectives and solutions for sustainable Mediterranean wetlands. Increasingly we are experiencing extreme weather events, with a failure to adapt and mitigate climate change, loss of biodiversity and collapse of ecosystems, natural disasters, human-caused environmental damage… and if wetlands were part of the solution? Lake, pond, marsh, river, estuary, bog, meadow, lagoon, chott, merja, daya, guelta, wadi… Wetlands, the most productive ecosystem on the planet and yet the most threatened, are places of biodiversity – abundant in flora and fauna, welcoming for people, necessary to the well-being of everyone and the safety of all. Vital for the survival of humanity, they are among the most diverse and productive ecosystems. Consider that they supply almost all the fresh water consumed in the world. More than a billion people depend on wetlands for their livelihoods and survival, as do countless plant and animal species. However, they continue to be destroyed, degraded and transformed for other uses, such as industry, tourism, urbanization, agriculture, etc. This development undermines human well-being through the loss of the multiple benefits provided by wetlands. It is urgent to take action! 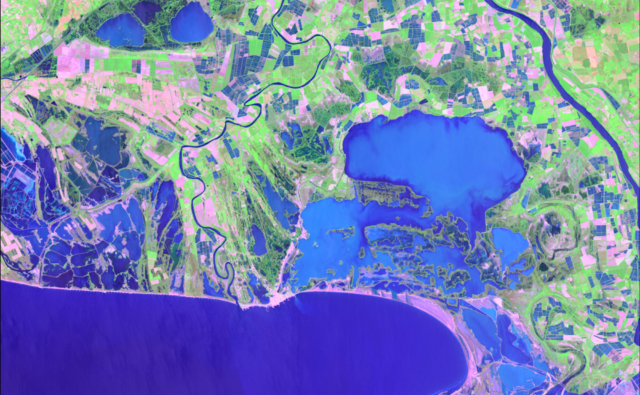 23% of the remaining wetlands are artificial (e.g., impoundment lakes, salt marshes, rice paddies), compared to 12% worldwide. The flood control capacity of wetlands has decreased by 20% in some Mediterranean countries (Indicator 12). The Iberian Peninsula, the Maghreb, the Balkans and the Near East are the regions that are likely to lose the largest number of wetland species as a result of climate change (Indicator 11). The abundance of mammals, amphibians, reptiles and fish has declined by about 35% since 1990 (Indicator 1). But solutions exist and initiatives are put in place by a community of actors! 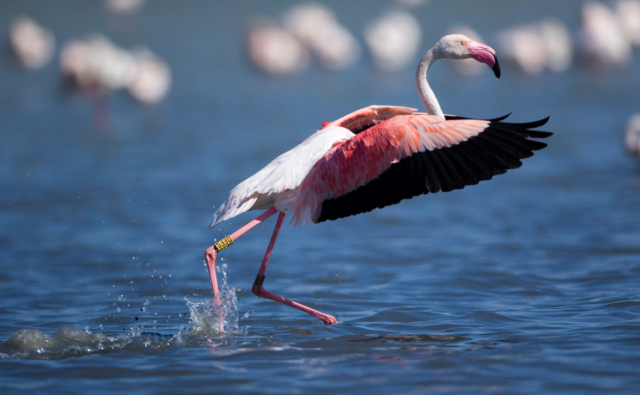 In Morocco, the designation of Ramsar Sites has led to better conservation of waterbirds and reduced threats to these sites. Well-managed or restored coastal wetlands act as “climate buffers”, providing low-cost protection for people and goods and providing habitat for endangered species. Agriculture and wetlands: sustainable cohabitation? Our recent studies show that sustainable agriculture can and must reconcile food security with the maintenance of wetlands. More and more people are visiting and enjoying Mediterranean wetlands for educational experiences, tourism and recreation, and simply for their well-being purposes (Indicator13). 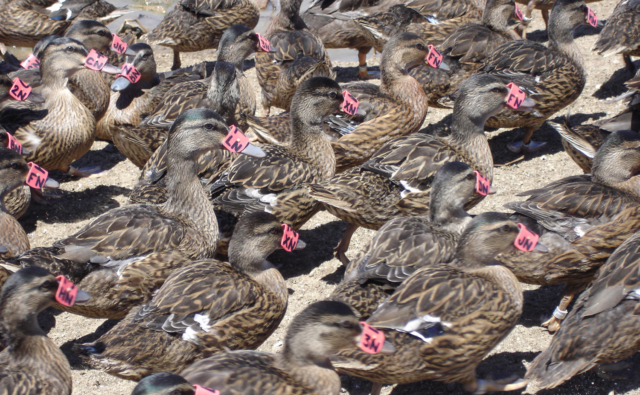 Where the regulatory framework and the necessary means have been mobilized, there has been an increase in waterbird populations since the mid-2000s (Indicator 1). 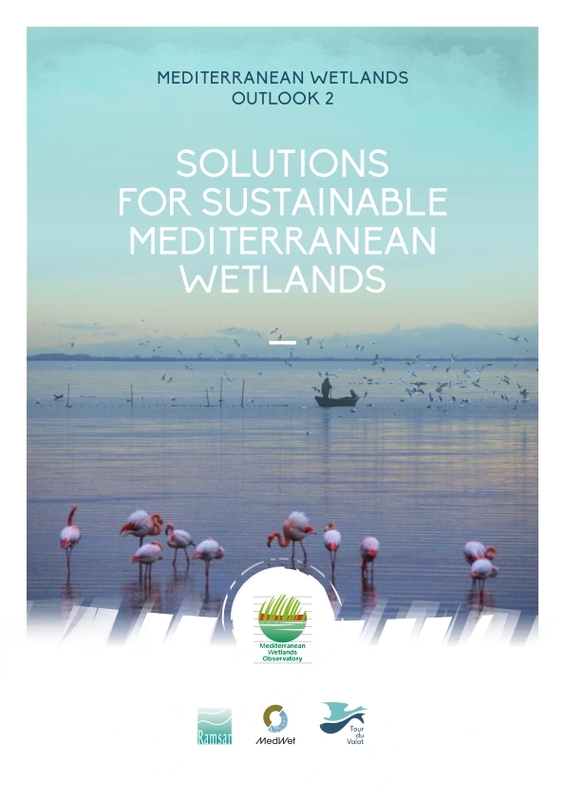 The Mediterranean Wetlands Observatory just published the new report “Mediterranean Wetlands Outlook 2: Solutions for Sustainable Mediterranean Wetlands (MWO-2)”. The MWO-2 updates the situation of Mediterranean wetlands since 2012, the year of publication of the first Outlook report (MWO-1), which was the first regional assessment based on indicators of the state of wetlands and the problems they face. The Mediterranean Wetlands Observatory, coordinated by Tour du Valat within the framework of the Mediterranean Wetlands Initiative – MedWet, will introduce the latest results of the 2nd Mediterranean Wetland Outlook report (MWO-2) with an update on Mediterranean wetlands status since the 1st report (MWO-1) in 2012, and will provide regional support for the findings of the Ramsar Convention’s first Global Wetland Outlook (GWO). 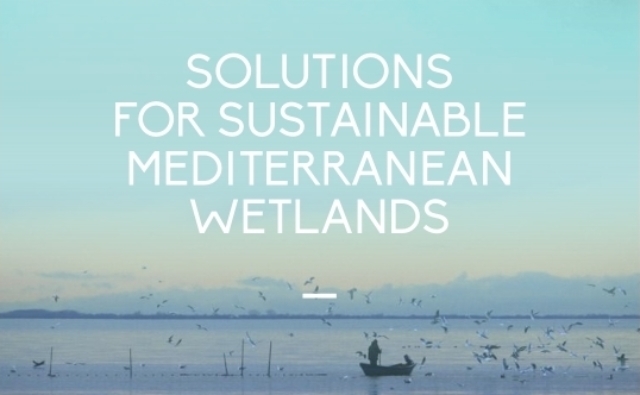 The MAVA Foundation launched a five-year strategy on enhancing Mediterranean coastal wetlands’ conservation. Four sites are selected in Oristano (Maristanis project, Sardinia, Italy), Ghar el Melah (Tunisia), Ulcinj Salina (Montenegro) and Buna River Protected Landscape (Albania). Horizontal actions are also set up with islands wetlands inventories (the MedIsWet project implementing the XII.14 Ramsar resolution), also campaigning with Off Your Map*, integrated coastal wetlands governance, and socio-economic project. Off Your Map is a campaign of 11 international partners aiming at improving the understanding of coastal wetlands’ characteristics and the ways to conserve, manage and enjoy them sustainably. 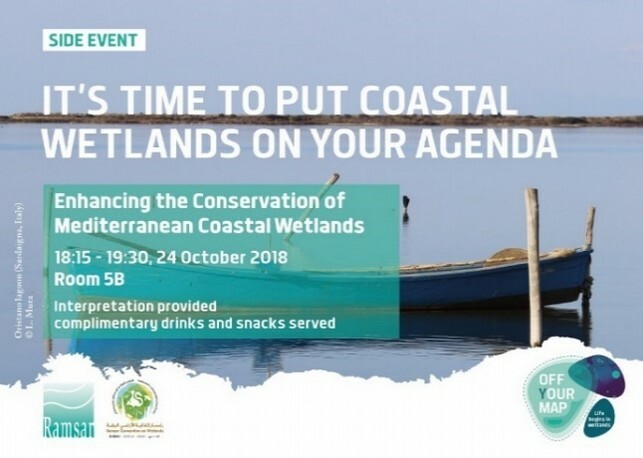 Together we must turn the tide for Mediterranean Coastal Wetlands.